Description A great example of bold modern design, Nadir is a chair with bags of character. 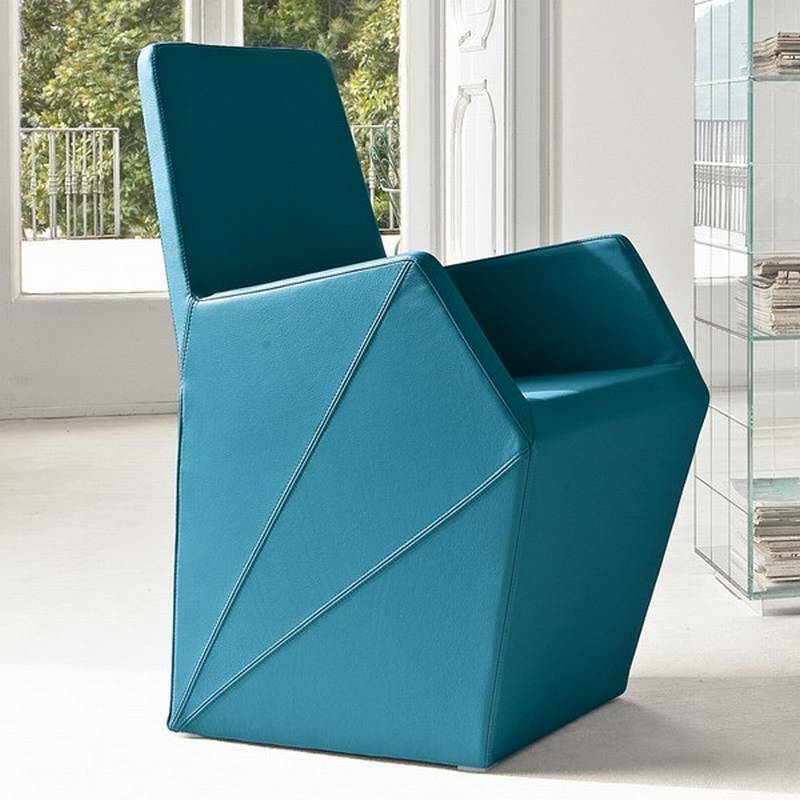 Padded with cold foamed polyurethane on a steel frame and upholstered in fabric or leather (only the leather version has the stitched design on the side). See links below for all available fabric/leather colours. Non-removeable cover.